LAST AVAILABLE BRAND NEW HOME One of these stunning new homes could be yours sooner than you think! Help to Buy example: Your 5% deposit: 15,750 Your 75% mortgage: 236,250 Help to Buy price: 252,000 20% Equity loan 63,000 Total purchase price 315,000. Call to discuss Help To Buy. Plot 2 - A contemporary semi-detached property benefitting from an open plan kitchen diner, living room, cloakroom to the ground floor. The first floor comprises of 3 bedrooms with an en suite to the master and family bathroom. Externally there are 2 allocated parking spaces and a landscaped rear garden. 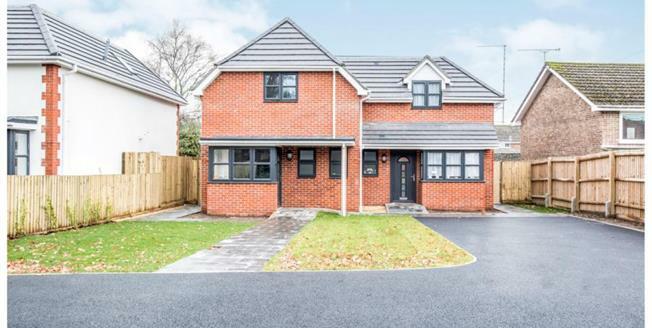 This small development of just 4 contemporary semi detached homes located in the popular village of Alderholt, just 3 miles West of Fordingbridge. Book your viewing appointment today! Please note that floor plans and dimensions are taken from architectural drawings and are for guidance purposes only which means they are subject to minor variations. Photographs are from the current view home. These particulars should not be relied upon as accurately describing any of the specific matters described by any order under the property mis-descriptions act 1991. This information does not constitute a contract or warranty.